If you are about to move there are a lot of things to keep in mind and consider. Getting everything ready to go can be a lot of work, there are things that can be overlooked. If you have a pet, this is one of those things. Moving can be a stressful time for your pet. They don’t understand what is going on and where everything is going. Pets are normally very protective of you and the belongings around them so they also may not like seeing them all leave. Cross country moving companies understand that this can be a hard time for your dog and that is why our experts are here to offer you tips so the process goes smoothly for both you and them. Keep reading as we explain tips on moving with your pet. It’s a good idea to be prepared. Even if you just have a simple move, you most likely won’t be able to get at your pet’s items that evening. If you are moving across the country it will be even longer. For this reason, it’s important to pack them an overnight kit. This will include a couple of days of food, their favorite toy so they feel right at home and anything else you would normally give your dog. If they need any medication, it’s important to remember to pack a couple days extra of it. In case there are any delays, you don’t want additional stress thinking about their medication. Make sure this overnight kit is accessible and you know where it is at all times during your move. If you are moving to a new area or across the country, make sure you speak with your vet ahead of time. You can arrange a final checkup if you have been happy with them, or you can simply ask for all their records and any prescription medication they typically take. You can also ask them if they have any recommendations for the new area you are about to live in. This will make the process easier and the transition smoother. As we said before, your animal, especially if it is a dog, may get defensive about seeing your household items leave the house. If you are working with a moving company, make sure your dog stays far away from them. The last thing you need to deal with is a mover getting bit. Even if your dog is normally friendly, it can be an extra stressful situation for them. Another reason to keep your pet away from the action is just so they stay out of the way. If they are running under your feet when you are trying to pack up and move this can make it difficult. 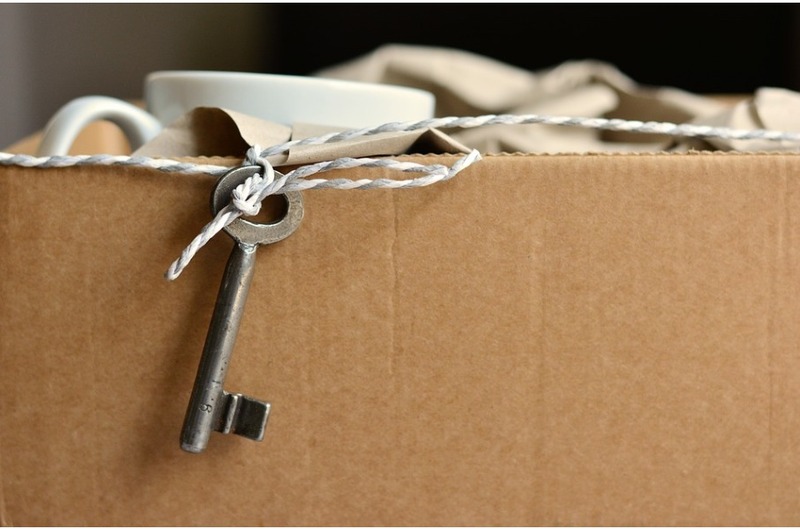 When you are moving, regardless if you are using a moving company or not, you will most likely be leaving the door open. Make sure to have your dog somewhere else so they do not get worried about the move and run away. You never know how your animal will react under stress. If you are using a moving company, stay with your dog during the drive to the new home. This won’t know the area they are going to and won’t necessarily know which home is yours and theirs. If you normally let them out and roam around freely, don’t for at least a couple days. Take them on walks on the leash so they start to understand the area and start to learn new smells. Animals play off their owners emotions. If you are excited about the new home and excited for them, they will start to too. Your body language says a lot. If you have your address on your pet’s collar, it’s important to update it as quickly as possible. This is also true if you have them microchipped. Make sure you call in as soon as you know the address to your new home and let them know the updated information. If you are moving and utilizing a company, make sure they know you have an animal. This will help them to prepare for it and not be startled when they see it. If you have any additional instructions at this time you want to warn them about you should. Although it is not their responsibility, it’s a polite thing to do in order to give them a heads up so they can better assist you as well. Although moving is stressful, little thing like moving with your pet can cause even more stress. Try and follow the tips we listed above to make the process easier for everyone, including your dog. Try and be understanding that your dog may not be themselves for a couple days before the move and a couple days, if not a couple months after the move. This is especially true if they are not young anymore and you lived in the same home for a while. For more tips on moving with your pet, contact us today.